This single-family waterfront home is located in the Annapolis neighborhood of Bay Ridge. 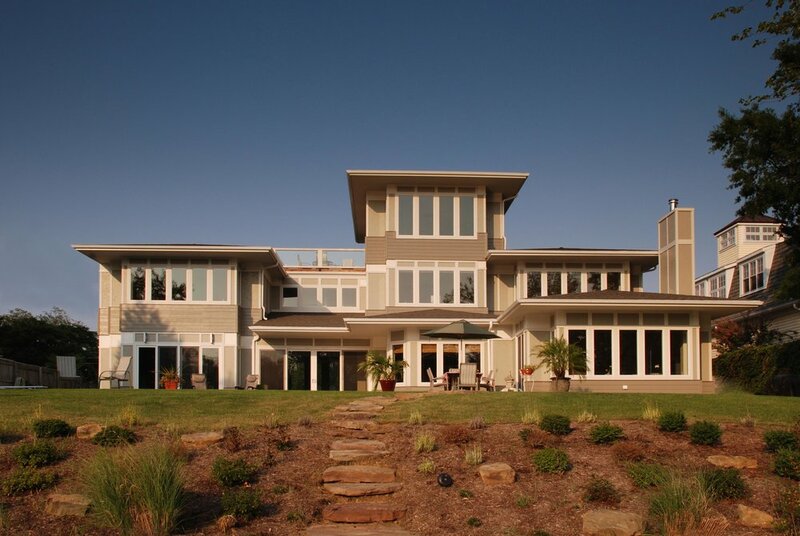 The design is a direct response to the site conditions including: Views, Solar Orientation, Prevailing Breezes, and Chesapeake Bay Critical Area requirements. The house is articulated as a series of staggered bars which allow each room to have windows, natural light, and views along multiple walls. A breezeway and open three-story stair create the effect of a solar chimney generating natural ventilation for passive cooling.